I hope you all had a very good Christmas! I did, lot's of noms and fun family gatherings. 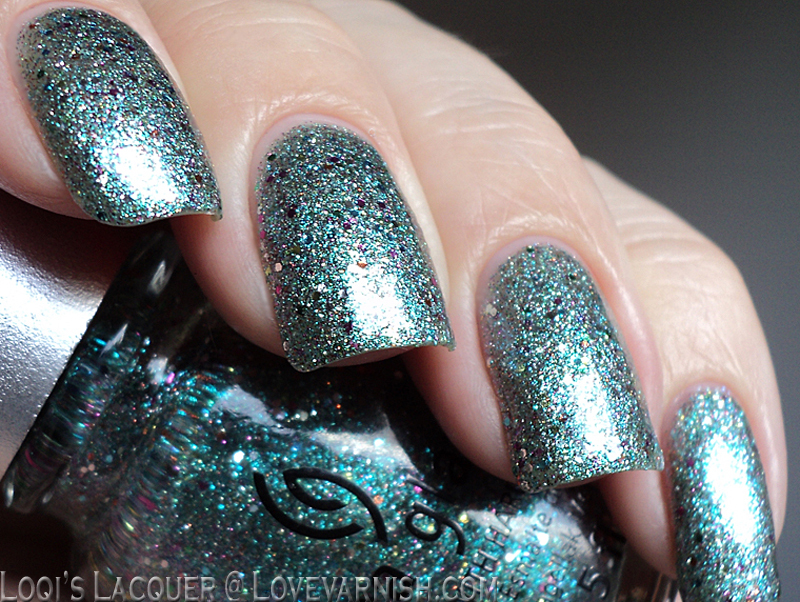 So since I am still in the holiday mood and tonight is going to be a great party night I am showing you a very fun and kind of over the top glitter: China glaze - Optical illusion. 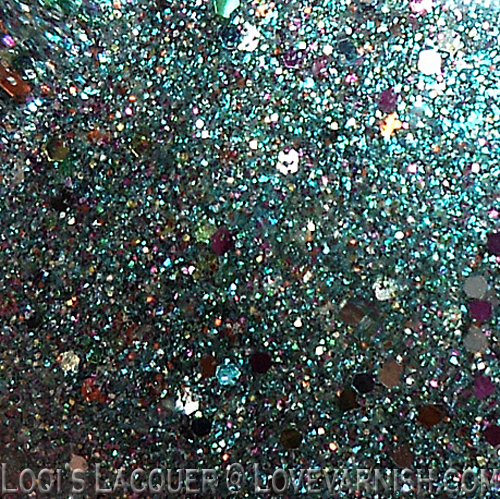 As you can see Optical illusion is made up of all kinds of different colour and size glitters, making it a very sparkly mix with a slightly duochrome sea-blue base. Perfect for an end of the year celibration! 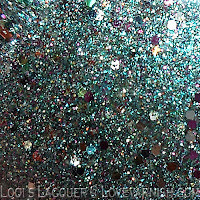 Stunning, I have yet to wear this on it's own but now i must try it. 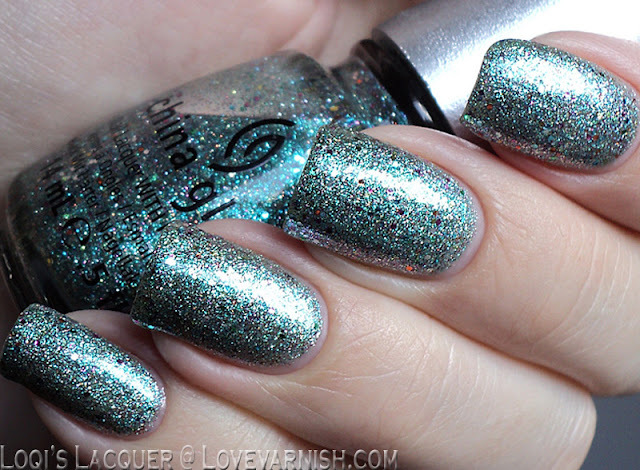 This is one of my favorite CG polishes ever!! This is so beautiful!! Happy New Year! ^^ you really should try it on its own, its gorgeous! Don't forget some kind of peeloff basecoat tho!